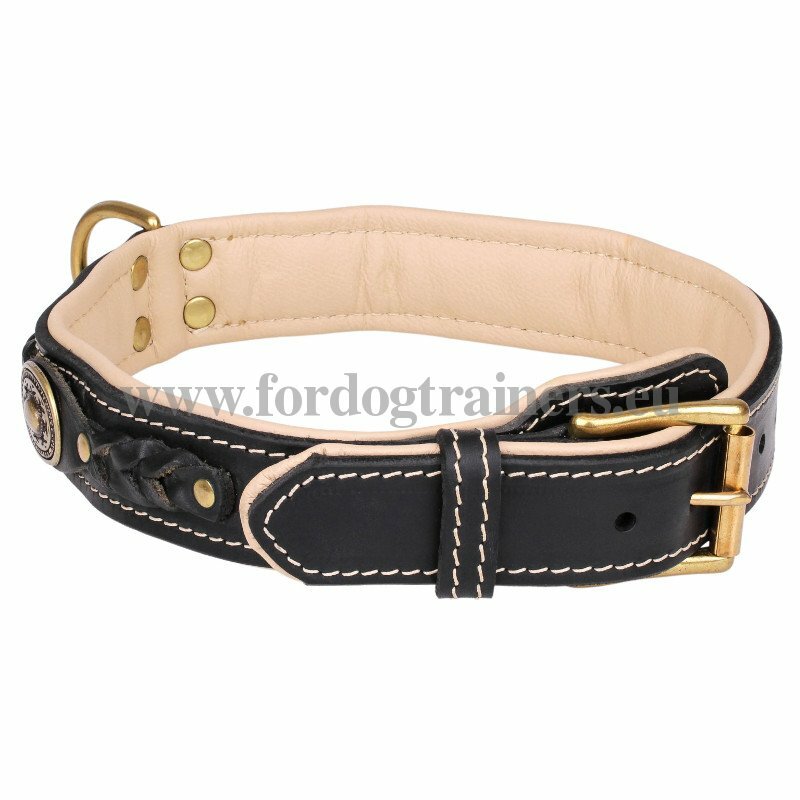 Have you thought of changing your dog’s collar to add some style and beauty to his life? 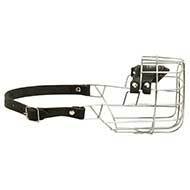 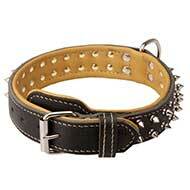 Or, perhaps, you need one more dog collar for special occasions? 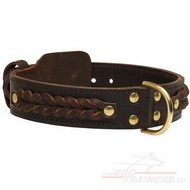 Or you just like to have handmade things for your doggy because they are of truly high quality? 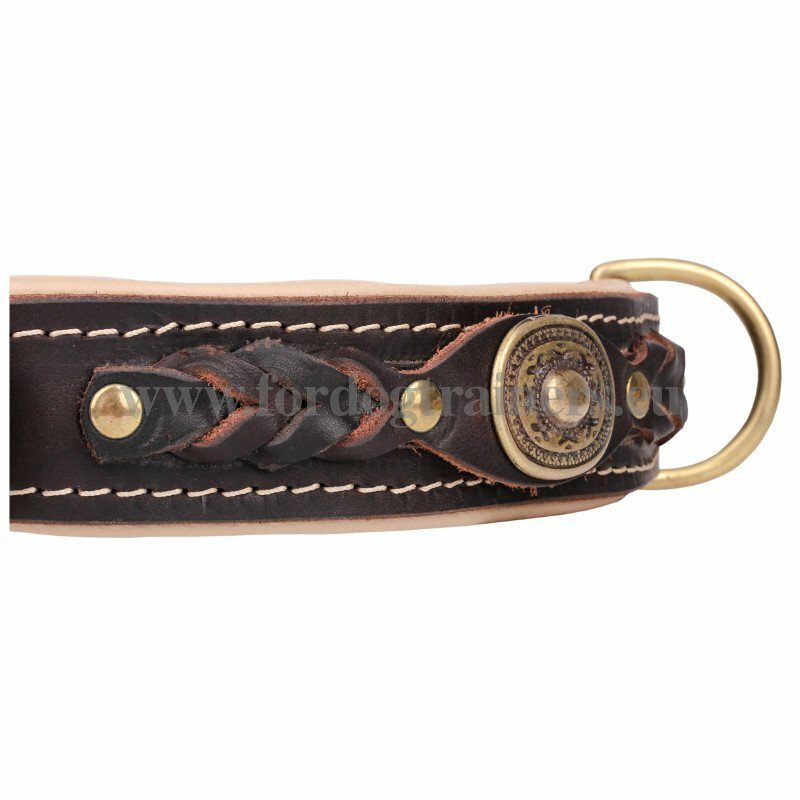 Whatever is your case, our Stylish Braided Collar with Brass Fittings C43A will provide everything you need. 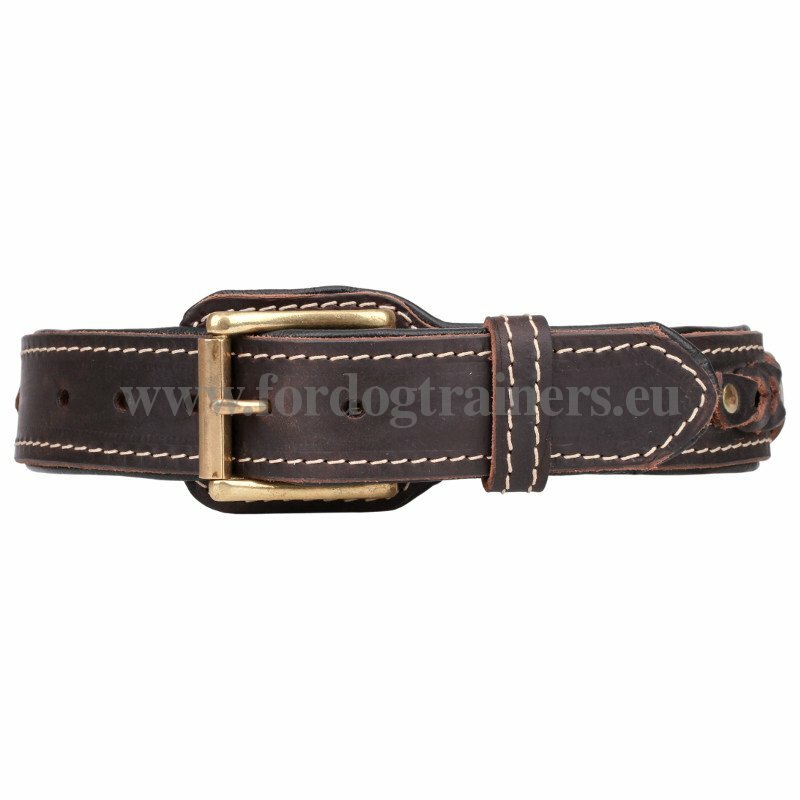 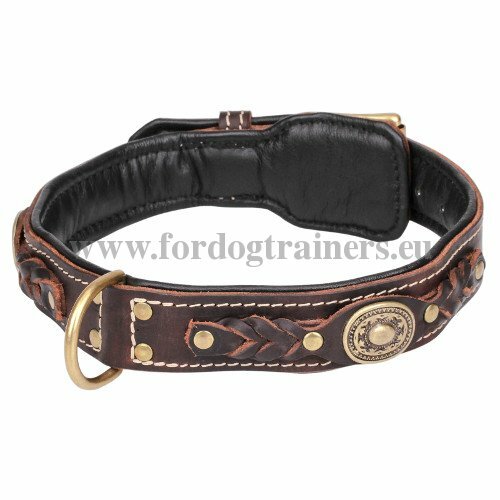 This dog collar, made of selected genuine leather, well processed and oiled, is unique because of its style and quality. 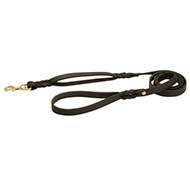 It makes control of your medium or large dog easier. This Decorated Leather Collar for Dogs is easily adjustable thanks to five holes, so whether your dog gains weight or loses it, you can keep the collar and use it! 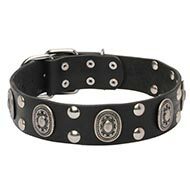 Just see the buckle, D-ring and decorative rivets on the collar! 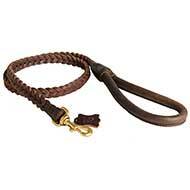 They all are made of brass, resistant to corrosion and solid! 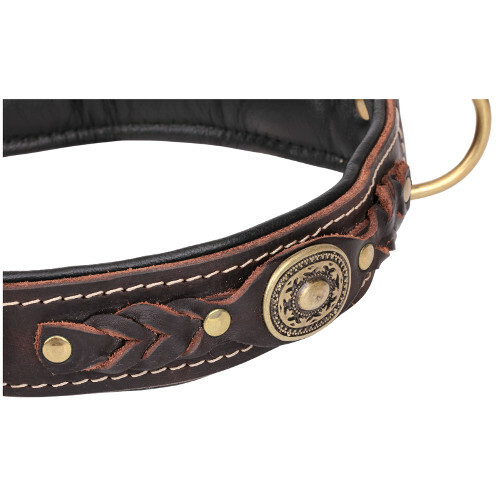 And what about the braids and decorative element in the center of the collar? 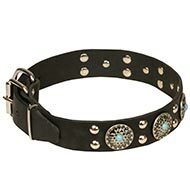 Have you seen anything as beautiful before? 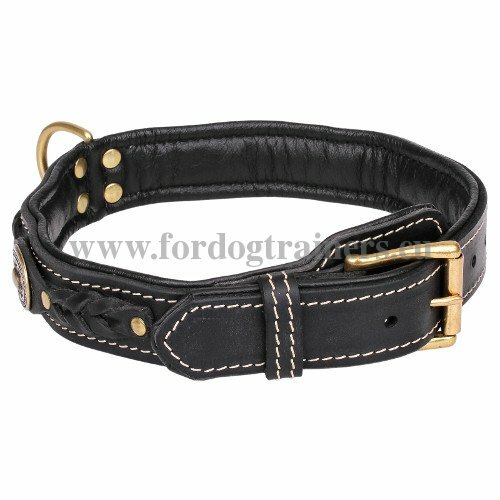 One more specificity of this dog product is a handmade stitching, which serves not only to the purpose of making the collar reliable, but also makes it very stylish. Look Closer at the Decoration of the Collar! See other Luxurious Leather Dog Collars, Stunning Leather Leashes, Excellent Training and Walking Harnesses and other outstanding products for your dog in our on-line pet store!